Kaléo, a privately-held pharmaceutical company, today announced the AUVI-Q® (epinephrine injection, USP) Auto-injector will be available by prescription starting February 14th, and announced AUVI-Q AffordAbility, a first-of-its-kind access program for AUVI-Q. Through this new program, patients with commercial insurance, even those with high-deductible plans, will have an out-of-pocket cost of $0. For patients who do not have government or commercial insurance, and have a household income of less than $100,000, AUVI-Q will be available free of charge. In addition, the cash price for AUVI-Q is $360 and will be available to those patients without government or commercial insurance. 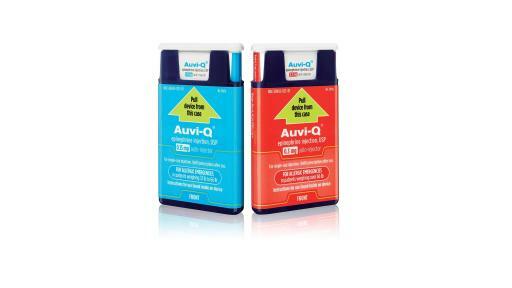 Each AUVI-Q prescription includes two Auto-injectors and one Trainer for AUVI-Q. Identical twin brothers, Eric and Evan Edwards, the inventors of AUVI-Q, grew up with life-threatening allergies. They know what it is like to live in fear of that life-or-death moment, both as patients and parents of food-allergic children. Their goal was to develop an epinephrine auto-injector that contained innovative features, such as a voice instruction system that helps guide patients and caregivers step-by-step through the injection process. 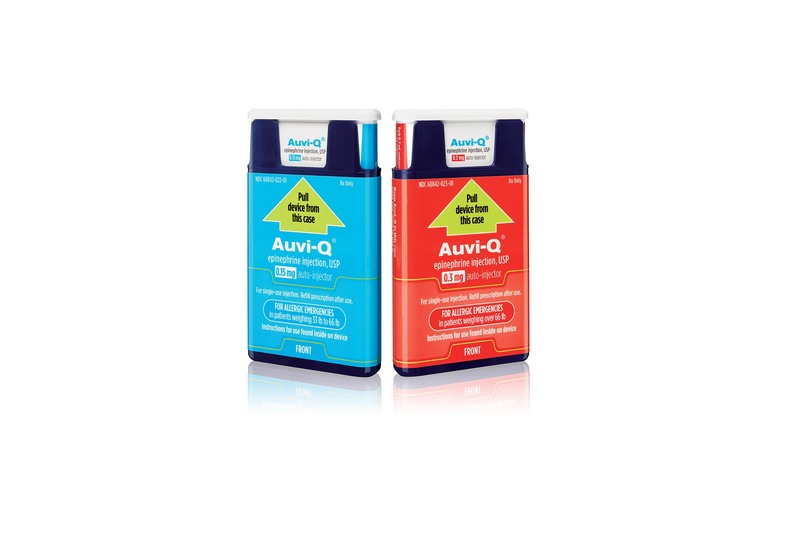 Eric and Evan Edwards believe and trust in AUVI-Q, not only for themselves, but also for their children and other families who may have to depend on it to administer epinephrine during an allergic emergency. AUVI-Q is the only compact epinephrine auto-injector with a voice instruction system that helps guide patients and caregivers step-by-step through the injection process, and a needle that automatically retracts following administration. In anaphylaxis emergencies, it is often individuals without medical training who need to step in and deliver potentially life-saving epinephrine. AUVI-Q was designed through careful analysis of the situations where epinephrine auto-injectors are used and with significant input from the allergy community that relies on it incorporating Human Factors Engineering (HFE). HFE is about designing products or systems that are easy to operate and, most importantly, support correct use, with the goal to remove the potential for error. For more information visit www.auvi-q.com. Please click here to see the full Prescribing Information and the Patient Information at www.auvi-q.com.